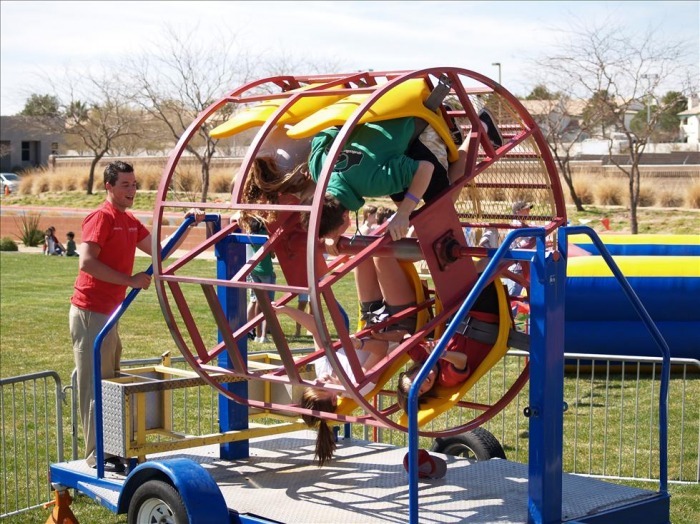 Human Whirl - Interact Event Productions - Corporate Event Planning at Wholesale Prices! This amazing game provides fun for up to four participants at a time. Strap in as you prepare to go for the ride of your life! Riders can work to spin this colorful Human Whirl themselves, or they can have a little help getting things moving.